Before getting into the breakdown of this controller, I want to first mention that you may want to read a previous article of mine. It is all about the features and improvements of the controller that could help you to understand this article better. The article is linked down in the sources at the bottom for your reference. Now that that’s out of the way, let’s get started. I pre-ordered this controller around the time it was announced because I was amazed by the amount of customizable features it had. I’ve been a fan of modified controllers for quite some time and have become quite an enthusiast for them. I’ve owned plenty of modified and competitive-styled controllers in the past, so I’ve come to believe all my experiences with them allow me to judge the quality and functionality of this controller quite well. With all that, I am going to be breaking down this product into two main parts: Structure and Functionality. When I say structure, I mean the physical feeling of the controller, the reliability of its build, and the external additions. When you first pick up the controller, you may feel a slight weight distinction apart from a standard controller. It is a bit heavier, but this is the cost of higher quality parts meant to increase the lifespan and strength of the controller. Between the rubberized grip, stainless steel components, and reinforced surfaces, I can’t say I have ever seen a controller as well-built as this one. The rubber grips may not beat out third-party grip companies such as Squid Grips, but they surely can compete. Even if you happen to have sweaty hands, this controller will hold up fairly well. I have taken this controller to a LAN tournament for Advanced Warfare already, and my hands were not slipping as much as they would on a standard Xbox One controller during intense situations. As far as the other structural aspects go, the tension on the controller’s thumbsticks feel slightly tightened to me. That's a good thing in my opinion. It's up for everyone else to decide as a pro or a con. Also, if you did not know already, those thumbsticks are removable and interchangeable for other thumbsticks varying in size and shape. If you are worrying about the thumbsticks falling off during play, don’t be. They are magnetized to the connector on the controller, and won’t come off unless you want them to. Same thing applies to the interchangeable D-pad’s. The only downside I could come up with was the fact that the rear paddles are pretty sensitive. You could set the controller down on your lap, and you might end up pressing buttons randomly from the pressure. Also, they can be easily misplaced as they fall off a bit easier than the other swappable parts. Though, that is a small price to pay for the many beneficial features. This is where the many features and customization aspects come into play. Whether you are swapping out the many interchangeable components or customizing presets and controller settings, everything is completely user-friendly. Swapping out parts to fit your playstyle is as easy as turning a light switch on and off. The triggers’ movements are able to be changed with a single latch on the back of the controller, allowing someone to have greater control depending on the game they are playing. The paddles, D-Pads, and thumbsticks register really well, and they have a very mechanical sound to them. When you press any one of them down, you hear a distinct click. Other controllers may be soft to the touch, often making you question whether you are pressing the button or not. It may throw you off when you don’t press hard enough because the threshold is not as clear between the button being pressed and not pressed. Some of these things might seem irrelevant, but being someone who uses controllers like these on a regular basis, I tend to notice things throughout the years. On the other side of the functionality is the controller settings. 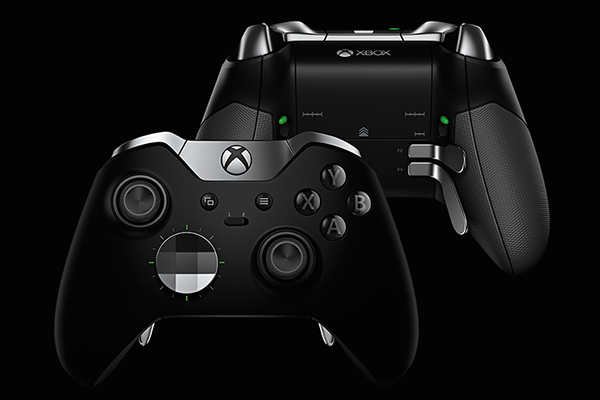 There is an application on both Windows 10 and the Xbox One allowing you to customize many different internal aspects of your controller. You can register both your thumbsticks and triggers to react faster and slower, and save those settings to two different preset slots on your controller. That slot switch is located right on the front of the controller in the middle. You can have one setup for an FPS game, and another for a Sports game. In addition, you can control your vibration settings and change the mapping of your buttons. You can swap your B button to your right bumper, or your left stick click for your right trigger. The combinations are vast and at your disposal! For those of you who want a quick recap, here is a list of my personal pros and cons. The biggest issue with the controller is the price in most people's minds. It is listed at $149.99 from Microsoft and other official retailers, and potentially even more through places like third-party Amazon sellers and eBay users. Many retailers do not even have the controller in stock because they sold out so fast. Controllers are expected to be back within a month's time. Besides that, the customer reviews are mostly great, but I can vouch for the controller being even better. I would rate the product 4.5 out of 5 stars. That .5 just comes from the cons I listed, but in the end I say the controller is very worth it. With all that, what is your opinion now? Still hesitant? Feel free to ask any questions or post comments below and I will do my best to answer and respond to them! Joined Se7enSins back in 2011 and couldn't beat the addiction! I am not a writer, but I do love to contribute. If I happen to come across a topic I find interesting and nobody has written about, you best bet on seeing me on the Homepage! Zxath, Mater MFC, Jeeper and 9 others like this.